The mission of Bluff City Sports Association is to provide a safe environment for the LGBTQ community and friends of the LGBTQ community to play softball. We work to promote growth of the athletes both on and off the field. We are working to support the Memphis LGBTQ by providing a healthy activity, a safe place in which to socialize and to teach good sportsmanship. LGBT people regularly face threats of harassment, intimidation, bullying and violence. This is especially true in the context of sports, where athletes are defined by their strength, gender roles, competitiveness, rather than their character, dedication to teammates or commitment to the game. As a result, many LGBT people feel isolated and fearful of the thought of organized athletics. BCSA seeks to change this dynamic. By providing what are often first-time recreational and competitive sports experiences to at-risk individuals. BCSA is redefining what it means to play sports in a supportive and affirming climate. We provide positive athletic experiences that foster lifelong relationships. BCSA could not exist without the generous support of our League and Teams Sponsors. Money from our supporters goes to support various league expenses that help curate our inclusive and diverse community of social athletes. BCSA offers a number of sponsorship opportunities to interested companies, businesses and individuals. 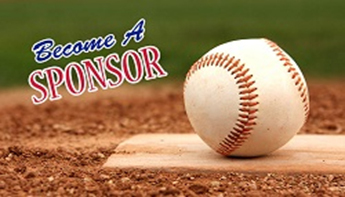 League Sponsors and Team Sponsors receive visibility and exposure to members of the league, our parent organization OUTMemphis, other leagues throughout the US and teams that play in NAGAAA’s World Series – literally 1,000s locally, regionally as well as 5,000+ and 43 states at NAGAAA’s World Series.